January 7-10, 2019| Washington, D.C.
Join NIBS in 2018 for the National Institute of Building Sciences Sixth Annual Conference and Expo to to explore strategies that are aimed at Optimizing forTomorrow. Don't miss the chance to participate in examining processes, communities, workforces, structures, resources, practices, communications and collaboration. Be there where Science meets Design® for a compelling program intended to engage the entire team of building professionals in creating innovative solutions for the built environment. World of Concrete is the largest annual international event dedicated to concrete and masonry professionals. Leave with the core knowledge and latest equipment you need to win more jobs and strengthen your business. This is your world. ABOUT WOC: Introduced to the commercial construction industry in Houston, Texas in February 1975, World of Concrete presented 77 exhibiting companies in 22,200 net square feet of exhibit space with 1,550 construction industry professionals in attendance. 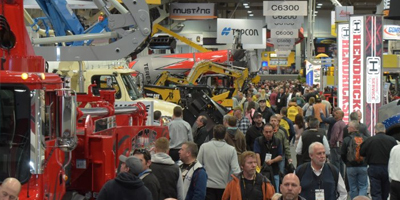 43 years later, World of Concrete now boasts more than 1,500 exhibiting companies and 55,000 registered industry professionals in more than 725,000 net square feet of exhibit space. WOC offers both 90-minute and 3-hour seminar sessions; more than 150 skill-building seminars with top industry experts. 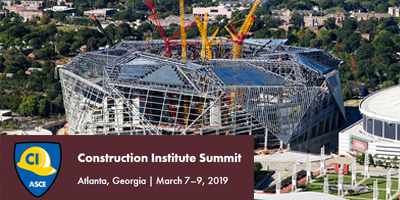 Join contractors, owners, designers, and other construction industry stakeholders from all over the country to meet and share new developments and innovative practices in the construction industry. Network with peers, earn PDHs, and expand your knowledge base to enhance the success of your projects. Participate in wide-ranging discussions with industry experts and innovators on finding real solutions to top problems in the construction industry. Witness an overview of a high-performance project, firsthand from the project team’s perspective, and participate in an insider tour. Meet and mingle with industry peers from around the country and learn how they are better managing risks and increasing project efficiency. Earn up to 17 PDHs via technical sessions, technical tours, and keynote presentations. 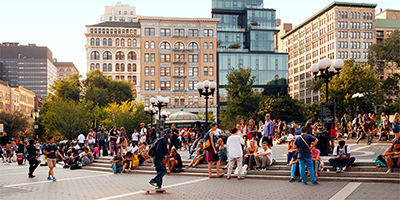 Experience the unique combination of southern charm and metropolitan culture offered by Atlanta, Georgia. In 2018, with the relaunch of ABC Convention, we started a merit shop movement to celebrate, collaborate and connect—we’re doing it again in 2019! Join the ABC merit shop movement and secure your spot at ABC Convention 2019 today. View the extensive list of speakers, education sessions, networking opportunities and opening and closing night celebrations. The countdown is on—see you in Long Beach in 2019! Advance registration for the Convention will close Monday, March 18. Making Connections. Leading the Future. 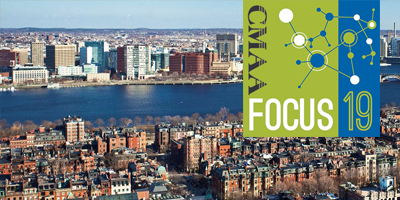 CMAA Focus19 is a high-level conference with a focus on the subjects and challenges faced by those leading teams and firms. With extended networking sessions and opportunities to establish new partnerships and steward existing relationships; education sessions focusing on communication skills, decision-making, and problem-solving; and specialized sessions presented by our industry partners – SMPS, CII, CFMA, SAME and the ABA Construction Law Section. The conference will also feature extended networking sessions and opportunities to establish new partnerships and steward existing relationships. For more than 100 years, the AGC Annual Convention has been THE event successful contractors around the country count on for practical knowledge and industry-leading information to guide business decisions, improve operations and shape the industry. 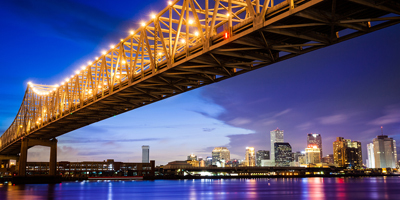 The annual AGC show includes educational sessions that focus on safety, project delivery, risk management and workforce development, as well as extensive networking opportunities. 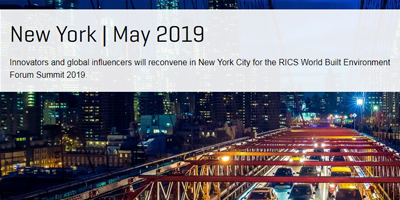 Innovators and global influencers will reconvene in New York City for the RICS World Built Environment Forum Summit 2019. 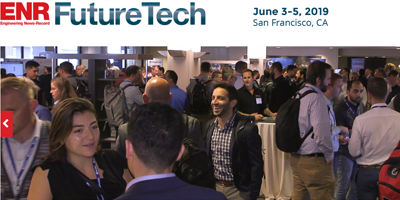 ENR FutureTech is a forum for business and IT leaders in architecture, engineering and construction to explore emerging technologies that can enhance construction productivity, profits and safety. Through a series of thought-provoking and interactive sessions and intimate networking you will take away the latest knowledge of what technologies work best, what doesn't and what's coming next for the future of the industry. Build Your Network: Meet 450+ business and IT leaders in architecture, engineering and construction in an intimate and productive setting, sessions do not overlap with networking time. Find Technology Solutions: Technology solution providers will demonstrate how they can enhance your business performance and project outcomes. Improve Your Business: Take away what works, learn what doesn’t and discover how to implement new technologies that improve construction productivity, profits and safety. Registration opens January 16, 2019. 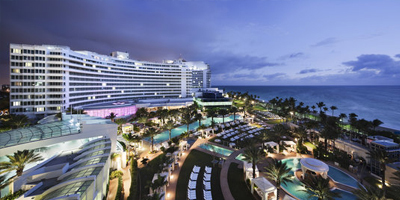 CFMA’s Annual Conference & Exhibition is an amazing opportunity to discover and implement ideas that deliver results. Our conference trains your mind to search for innovative solutions and attendees like you have countless opportunities to make valuable connections with other construction financial professionals and suppliers. Explore resources for both Future Conferences and Past Conferences to gain insight into the unparalleled educational opportunities that CFMA conferences have to offer and prepare for building your professional success! 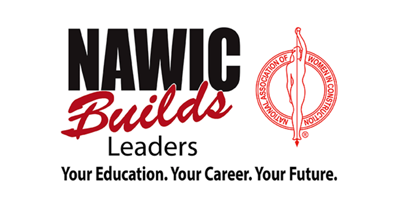 Designed for all women in construction, this event offers keynotes and panels on industry diversity and awareness, leadership training and opportunities to network with fellow women in the business. 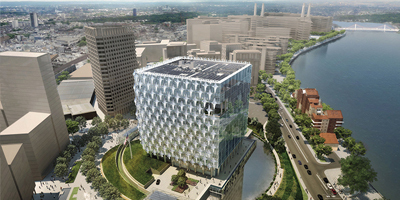 In Search of Construction Management Excellence. CMAA 2018 focused on building the skills needed to improve project delivery by connecting leadership and collaboration, program/project management, resiliency, technology, diversity and inclusion, collaborative delivery methods, and project controls with the core responsibilities and competencies of CM. 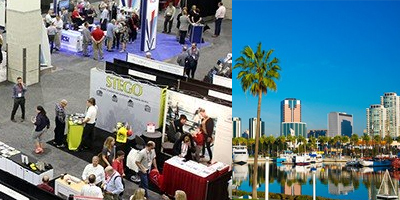 DBIA’s Annual Conference and & Expo attracts thousands of attendees and hundreds of exhibitors each year. Don’t miss out on the opportunity to meet and network with design-build pros from every sector. DBIA brings together the nation’s leading design-build experts to discuss industry trends and real-world examples of Design-Build Done Right™. Conferences are also a great place to receive continuing education. 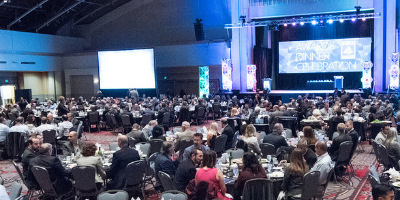 DBIA’s Project/Team Awards and Distinguished Leadership Awards honor the best projects and leaders in the design-build industry. 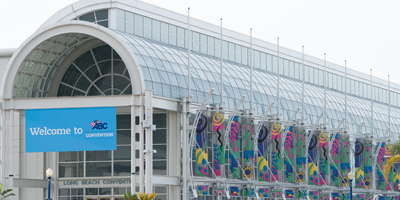 Greenbuild is the world's largest conference and expo dedicated to green building. 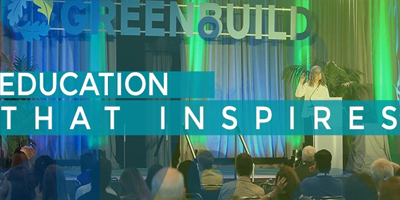 The ideals and passion of the green building community come alive at Greenbuild. The buzz is contagious. Greenbuild brings together industry leaders, experts and frontline professionals dedicated to sustainable building in their everyday work, and a unique energy is sparked. When we come together at Greenbuild, we are one community of professionals, advocates and practitioners, students and teachers, designers and builders, and everything in between. We leave no stone unturned in our pursuit of what’s next — new technology, new ideas and new ways forward. Greenbuild isdedicated to transforming the market and changing the way the people all over the world experience buildings. WE ARE ALL IN. You may also want to learn how to find blueprints of a building. Or, if you're working on a remodelling project, you may want to check Building Permit Records: How to Find and Use Permit Records. You may also be interested in finding out how you can turn your building plans into a construction marketing tool. 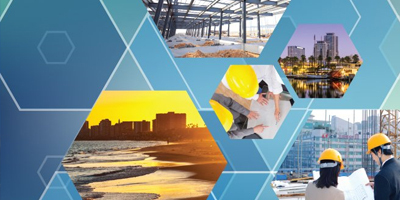 Want more construction conference 2019 news? Subscribe to our monthly construction update.